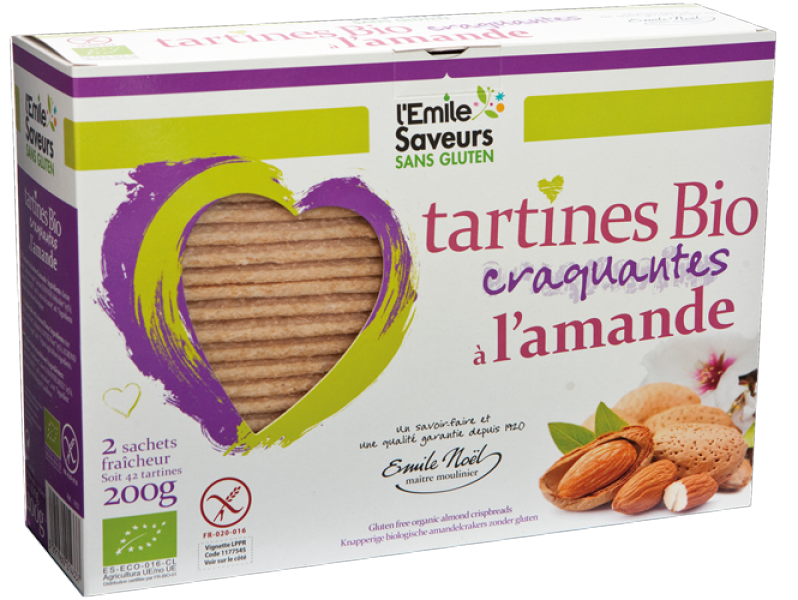 An original, crunchy and gourmet recipe, with a subtle almond flavour for people who are gluten intolerant, to be eaten throughout the day as a replacement for bread. The flours in our crispbreads are made by pressing the seeds of our organic vegetable oils. Rice flour*, Corn flour*, De-oiled almond flour* (15%), Almond flour* (10%), Cane sugar*, Salt. Allergens, according to the regulations currently in force: almond. Possible traces of SOYA.